Lisa White is a trend forecaster and currently director of WGSN Lifestyle and Interiors. 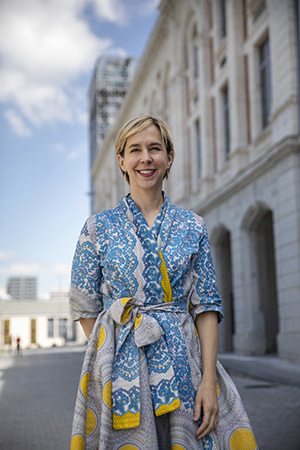 She is also the curator of this year's Biennale Internationale Design Saint-Étienne, which runs from March 21 through April 22. 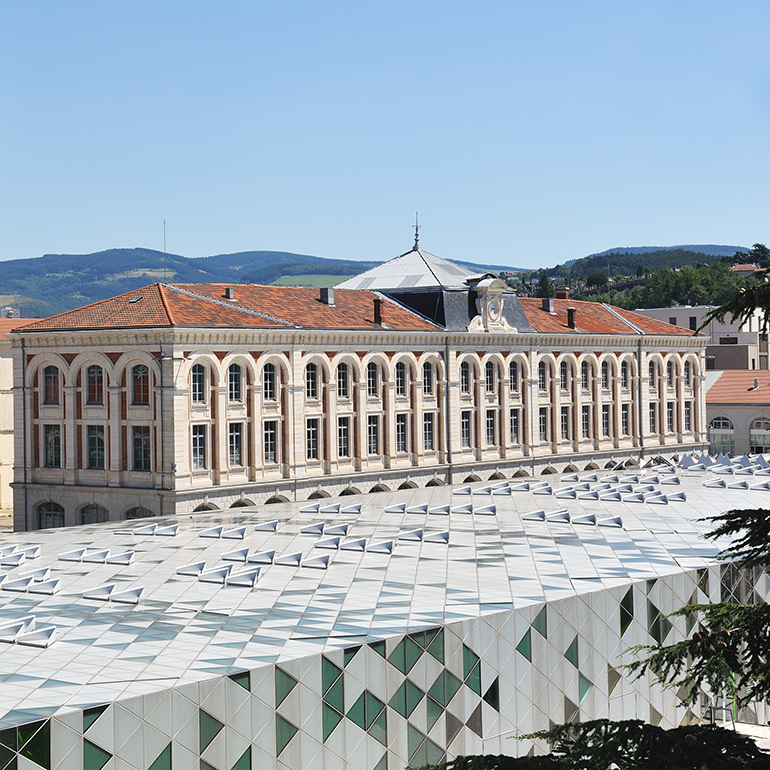 The Biennale was founded in 1998 and though it includes events all over the eastern-central French city, its heart is the Cité du Design, a landmarked former munitions factory that was transformed into a design center and school in 2005. This year’s theme is Me, You, Nous: Designing Common Ground. Interior Design: How would you describe Saint-Étienne to someone who has never been? And what makes this Biennale different from all the others? Lisa White: I think what makes the city different is that there is so much history here. You are in a space that was really at the heart of Saint-Étienne and its industry. This is where they used to make armaments and later where they manufactured appliances and that kind of thing. You also had the ribbon and passementerie industry in this city. So, you have heavy and light industry, and that’s one thing that’s really interesting here, the mix of the aesthetic and the practical. As for the Biennale itself, it is really open-minded—the sort of event where anything can happen. ID: Is Saint-Étienne a very fertile place for design? LW: Absolutely. It’s one of the few UNESCO design cities in Europe or the world. Basically, they turned an entire arms factory into a design center. It’s also a tech and innovation hub. 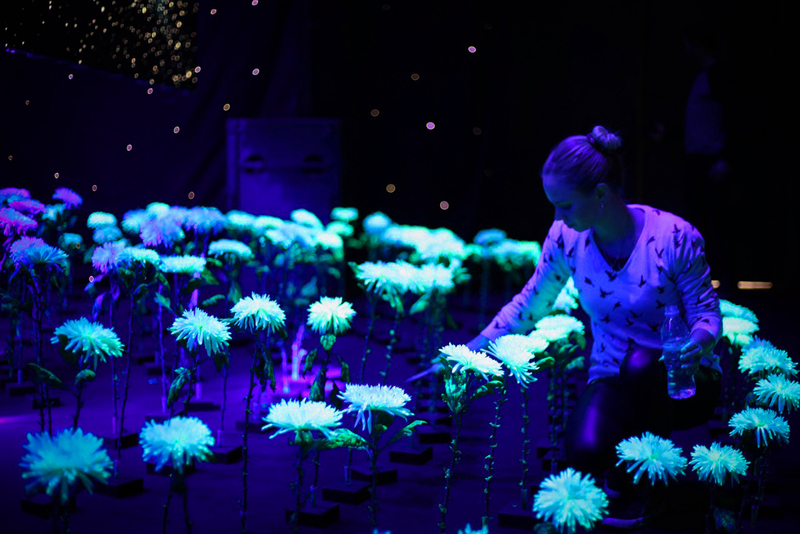 Artist Sophie Hombert’s Plantes luminescentes, from ‘Systems, not Stuff: The Biofactory.’ Photography courtesy of Sophie Hombert. ID: How did you come to this edition’s theme: Me, You, Nous? LW: I work in trend forecasting and when I looked at the forecasts we did two years ago for 2019, one of the most important trends was what we called Common Ground. 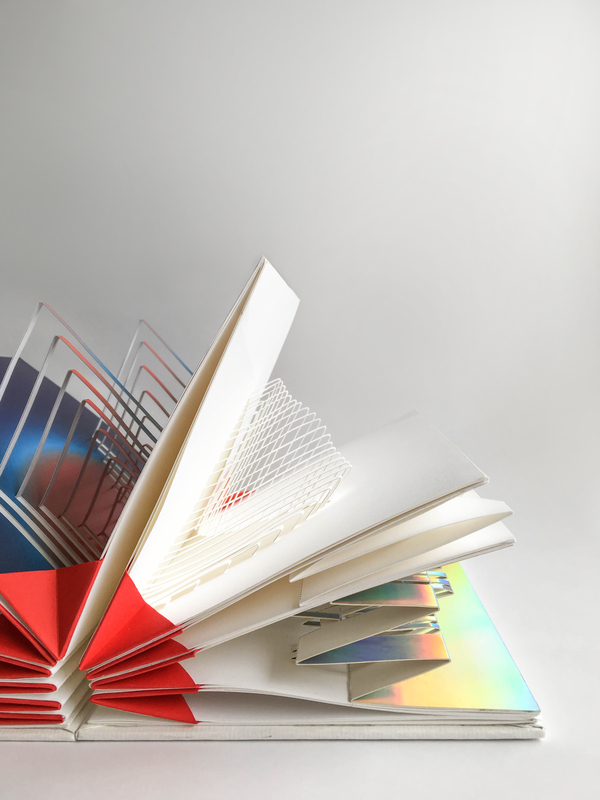 After Brexit and before Trump we were already seeing a lot of discord in the world, but we could also see that creative people and designers were finding ways to collaborate and that design could create common political and economic ground. ID: Key to this theme is the idea of inclusive design. Given that the design world is so overwhelmingly white and male, how do you think design can become more inclusive of diversity, minorities, and difference? LW: It really starts with companies and design teams being aware of the fact that you can’t have straight white males designing for the entire population! We’re seeing that start to change a lot, especially in places like California. For this Biennale, I was very careful to make sure that the people we invited were of many different nationalities, that there was a parity between men and women, and that different design disciplines were represented, too. Because the idea that aeronautical design is more important than interior design is just not true. Interior design affects people in their day-to-day lives and can help with a lot of social ills. If you’re suffering from loneliness and depression, for instance, interior design can really help make you feel better. 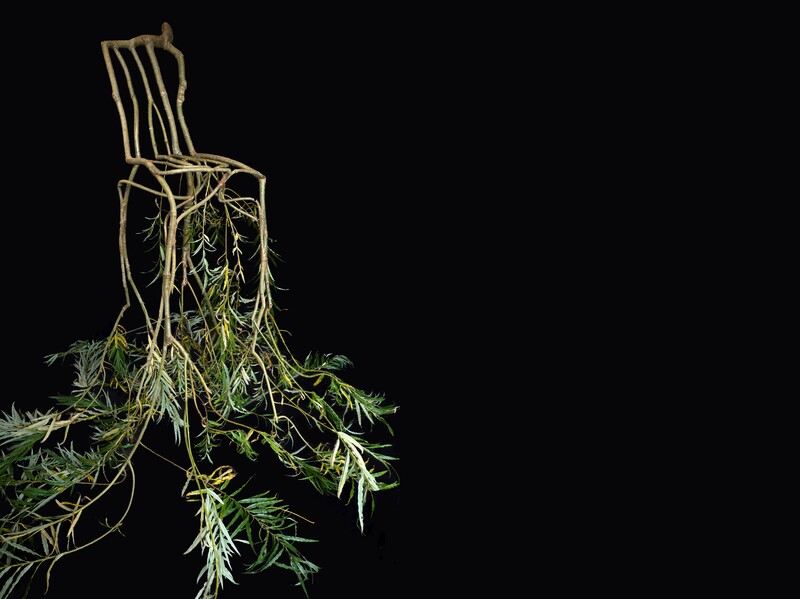 Edwardes Prototype Chair by Full Grown from ‘Systems, not Stuff: The Biofactory.’ Photography by Wouter Storm/© Full Grown Ltd.
ID: How else does the Biennale address the idea of inclusion? LW: I would say in the space itself. I am a woman and when I was thinking of inviting these people here, into these two huge exhibition halls, I approached it as if it were my home. How would I want to greet them? I started with a garden so that people would feel welcome when they come in. I also came up with a 10-hue color card—five bright and extroverted, five earthier and introverted—that would be shared by everybody. They could mix and match them but there would be a common ground of color as well. Inside there are spaces for people to relax, sit down, eat, gather their thoughts. I was very aware of the fact that people were going to have different emotional experiences and that we needed to welcome that. ID: The main exhibition, Systems, not Stuff, examines the need to create more systems and less things. Why is that important and what sort of systems are you thinking of? LW: Today there are too many objects in the world, so if you are going to create an new one, it has to be perfect, it has to be ecological, it has to be ethical, it has to be inclusive. You need to take a look at all the systems behind the creation of objects because people are starting to ask questions about where things come from, how they are sourced. One example is the systems for making plastic. We now know that single-use plastic is no longer okay, so we need to find other types of plastic, such as bioplastics based on algae, on corn. 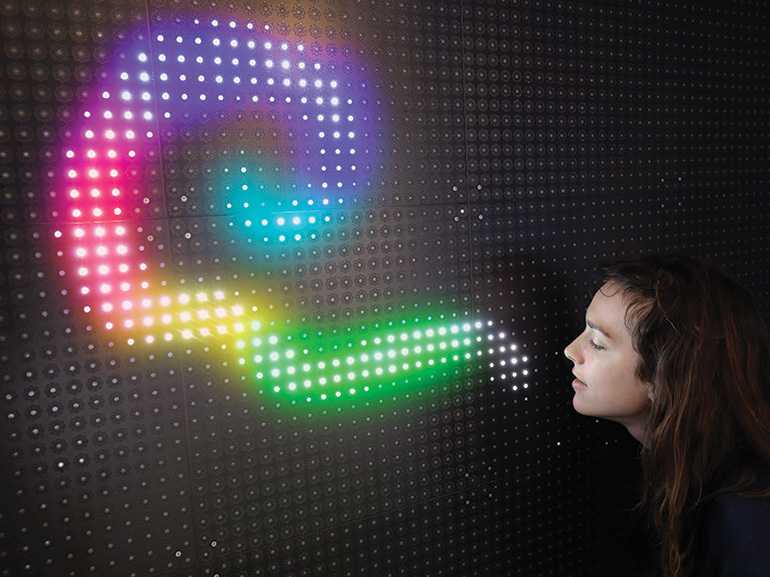 Then there’s also the system of biodesign—the idea of working with nature to create design. One of the main pieces in this section is by a man called Gavin Munro. He has a Chair Orchard where he patiently weaves and bends willow trees into chairs as they grow over seven years. 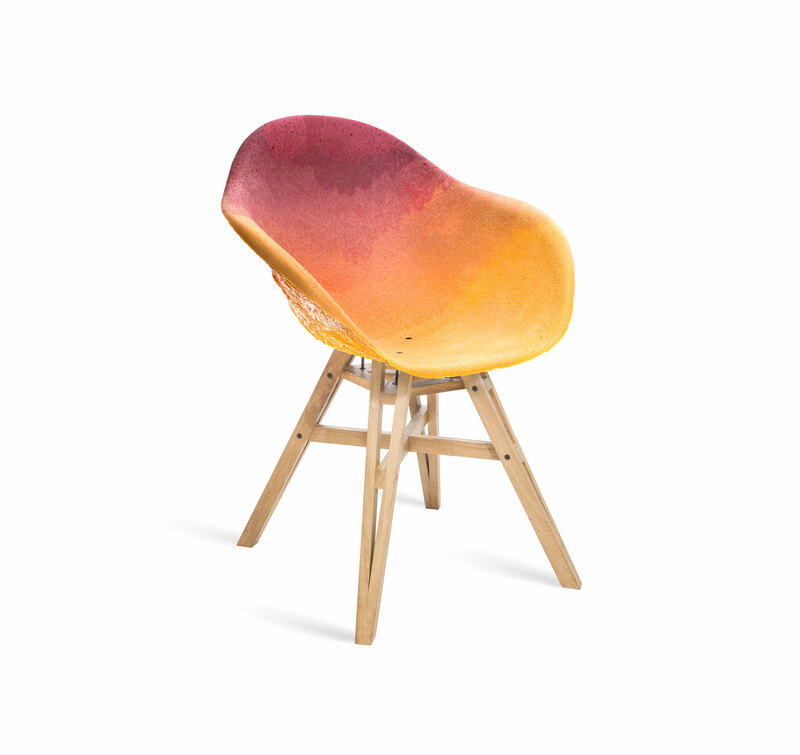 The result are chairs made without tools or nails or glue. Maximum’s Fauteuil Gravêne from ‘Systems, not Stuff: The Plastic Theater.’ Photography © Maximum. ID: So perhaps we really should be designing for obsolescence? It sounds paradoxical, but not if we make biodegradable products we can return to nature. LW: Exactly. We are exhibiting something that’s not even on the market yet: A plant pot made out of organic waste that can be put directly into the earth with the plant in it, which it also helps fertilize. So, you can design something that’s biodegradable or you can design something that people will want to keep forever. A lot of people are talking about buying for life or having a home for life. There’s also the whole economy of renting, which I think is important. We have seen it in fashion, and we are starting to see it in design, too. There’s a company called Harth, which lets you to rent furniture for your house. ID: China is your guest of honor this year. Why did you want to showcase Chinese design? LW: For people to understand that China is not just a country that produces and copies but now one that designs and creates. The Cité du Design has been working with China for years, but it really came to a head this year and we were ready to do a major exhibition. Highlight from the student show, Stefania, taking place during the Biennale. 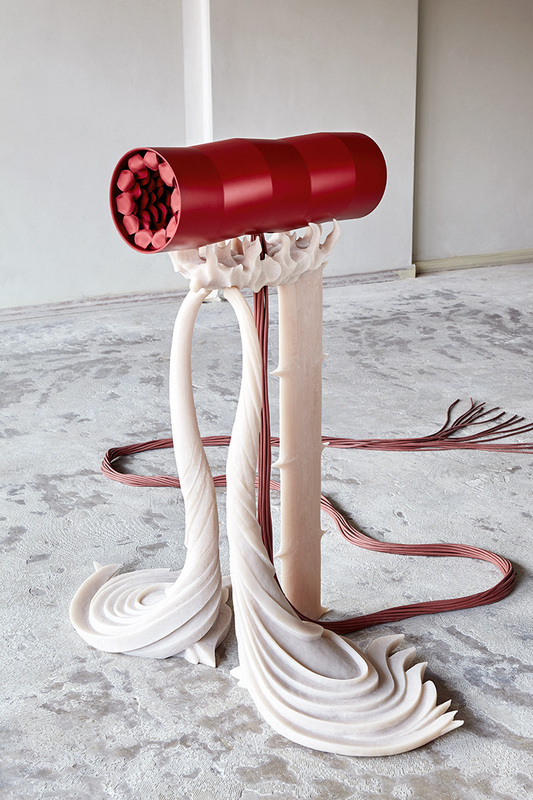 Photography courtesy of Biennale Internationale Design Saint-Étienne. ID: What other projects or exhibitions can you highlight? LW: A great one is a student show called Stefania, in which they’ve created an entire city. There’s a mayor’s office, a hospital, fountains. Each day of the Biennale is equal to one year in Stefania, so there will be a World Cup every four days, a Biennale every two days, and many other events. ID: Is the idea that, by the end of it, something very futuristic will have been designed or created? LW: Yes! But we can’t predict what that’s going to be. I love it. Théophile Blandet’s Fountain of Money from ‘Systems, not Stuff: The Machine Shop of the Future.’ Photography © Femke Reijerman. ID: What have you learned about doing a design biennale that you didn’t know before? LW: I didn’t know that creating Common Ground, getting all these people on the same page, would require so much work! But figuring out how to get everybody to work together in a common exhibition has been really amazing. It’s not just the name of a trend, we have actually put it into action. ID: What is the point of a biennale in your view? In the era of the climate-change crisis and serious global problems, should biennales still exist? LW: Design and design thinking are changing governments and businesses. Design has never been more important than it is now. A design biennale is really an opportunity to get people behind the idea of design and what it means for tomorrow. So I would definitely argue that biennales are important. 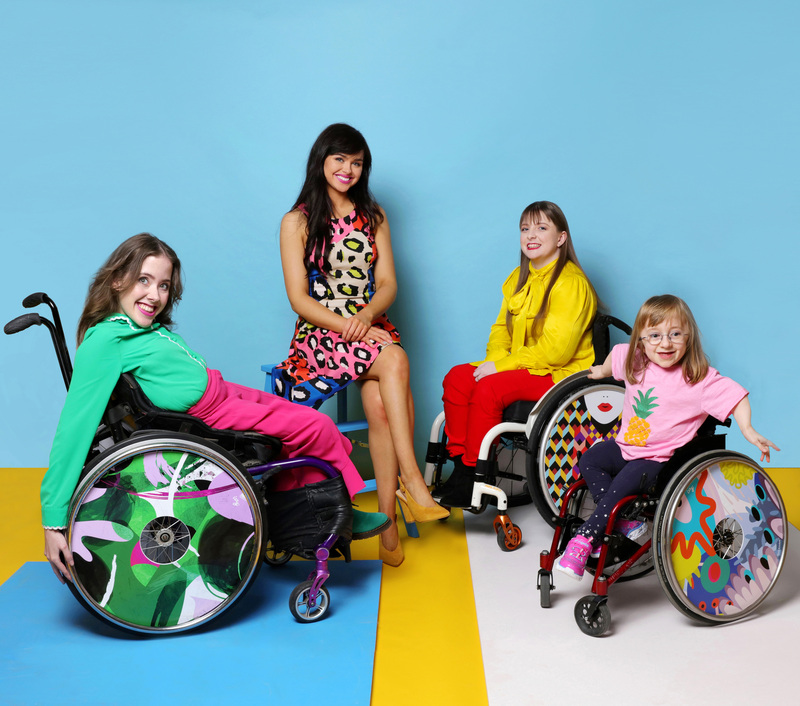 Izzy Wheels, "Izzy Wheels Spokes People" from ‘Systems, not Stuff: The Bureau of Inclusion’ Photography © Izzy Wheels Ltd/Sarah Doyle. Antonin Fourneau’s Sonoscriptum from ‘Systems, not Stuff: The Color Spectrum.’ Photography © Antonin Fourneau. A view of the Cité du Design. Photography © Charlotte Pierot.